One last time, bub! After reducing the Yakuza population of Japan to single digit numbers in The Wolverine, Hugh Jackman is ready to pop some adamantium claws one final time as he wraps up nearly two decades of giving life to the signature berserker of the X-Men franchise. So who’s going to be on the receiving end of some adamantium pig-stickers now that the journey of Wolverine has already seen foes such as Sabretooth, the Silver Samurai and Lady Deathstrike left to rot in a grave? That’d be somebody Sinister. Mister Sinister that is. That’s according to X-Men: Apocalypse director Bryan Singer, as director’s commentary on the home video release for that film elaborated further on the mid-credits tease of the immortal genetic madman. According to CinemaBlend, Singer confirmed in the commentary that Mister Sinister will resurface years later to plague Logan in the third and final solo Wolverine movie starring Jackman. In case your childhood wasn’t spent glued to a K-TV screen watching the animated X-Men series, Mister Sinister is one of the bigger bads in that universe. A eugenics-obsessed (think modern-day pedigrees of cats and dogs but with people instead) madman, Nathaniel Essex was augmented by Apocalypse in the Victorian era, surviving into the modern era and becoming a genius in the field of genetics and cloning. 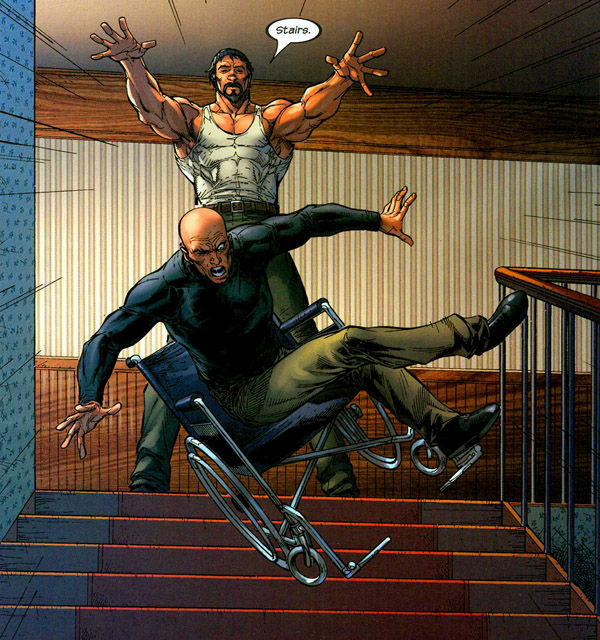 And also the greatest nemesis of anyone in a wheelchair. That confirmation now makes those early rumours for Wolverine 3 a tad bit more solid. Drawing inspiration from the Old Man Logan comics, this final film will feature an older and tired version of Logan as he reunites with Professor X. And possibly his own clone, a female version of Wolverine with the codename of X-23 as he tangles with the Reavers. This also ties into the recent casting of Richard E. Grant in a mystery role in Wolverine 3, which was described as “mad scientist” but kept under wraps otherwise. Yeah, the puzzles pieces are all starting to fit right now. Wolverine 3 is currently scheduled for a March 3 release next year. Bub.